Email List - Subscribe now. Check the events page for the most up to date listings. Special thanks to Tom Thompson for the 2019 Match List. Latest copy of The Target - Newsletter 2019 January, Febuary, & March. The North Dakota Shooting Sports Association has elected Leadership program chairpersons that coordinate the activities of their respective shooting disciplines. For membership information contact the Membership Secretary or go to the Membership page for an application and further information. 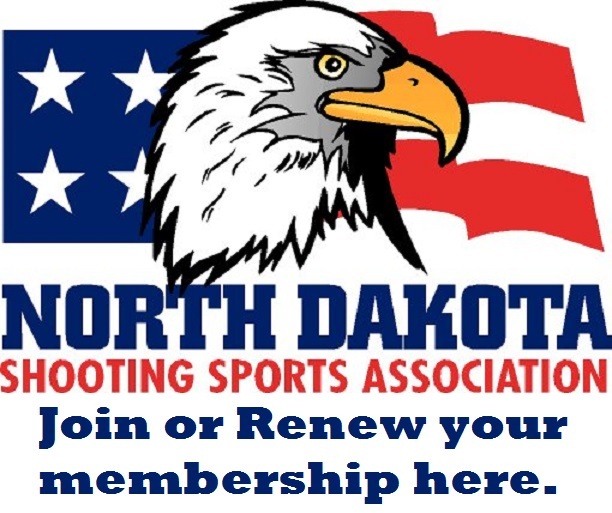 The North Dakota Shooting Sports Association is affiliated with the National Rifle Association, Civilian Marksmanship Program and USA Shooting. We, collectively, need to be ever vigilant in our Second Amendment preservation activities. For current NRA-ILA updates look here. Our North Dakota Congressional Delegation includes Rep. Kevin Cramer along with our two Senators John Hoeven and Heidi Heitkamp. Available Online the North Dakota Shooting Sports Association newsletter, "The Target".